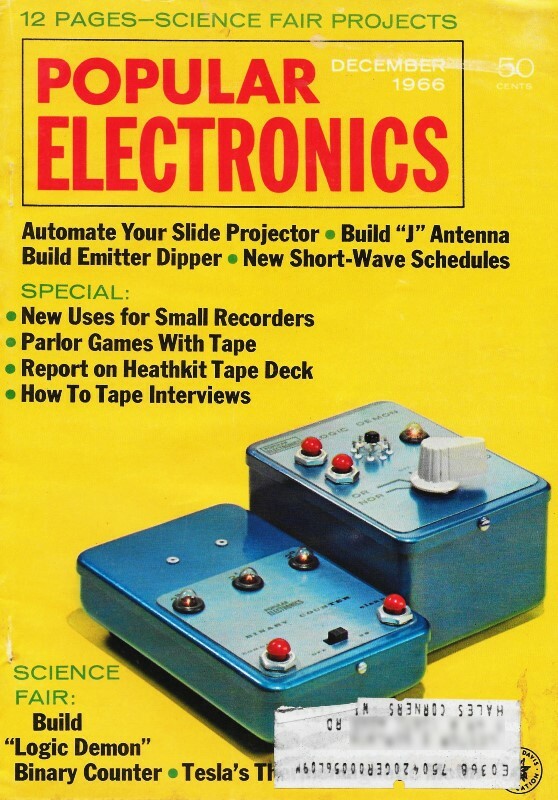 When I ran across this article in a 1966 issue of Popular Electronics, it reminded me of a fairly recent situation that happened to me at home. People in the 1960's were at the beginning of the consumer electronics revolution, and anytime you could work some newfangled high tech gadget into an activity it was a good thing. A lot of the Carl by Jerry stories by John T. Frye, published in the same era, illustrate the point. My tale has to do with hearing an unidentifiable woman's voice coming from "somewhere" that seemed to be inside the house. There are some times when a combination of physical locations and orientations of houses can cause certain sounds to travel and be amplified from one location to another - especially low frequencies like bass from music -so at first I thought maybe that was what was going on. 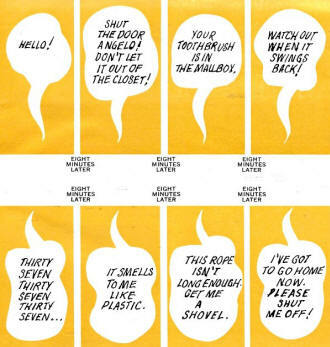 This, though, was unmistakably a woman's voice, and I would hear occasionally late at night while walking down the hallway. I felt like a real dummkopf once I figured out what it was. The base station for my SimpliSafe security system is hidden in the top of a clothes closet that backs up to the hallway. Depending on the timing of when I activate the alarm before going to bed and when I happen to walk down the hallway, I would hear the annunciator speaking - in a woman's voice. Being in the closet, it is very muffled and seems to come from nowhere. Duh. If that old hidden microphone gag has just about worn thin at your social get-togethers, why not pull a switcheroo? It's a lot more fun to do, and it can be a bigger party perker-upper than those replays. Prerecord about 90 minutes worth of tape with pauses between attention-getting phrases spoken a little louder than normal conversation. About eight minutes of pause is the limit if you want to keep your guests' attention. Don't make it too short, though, or you'll lose the whole effect. 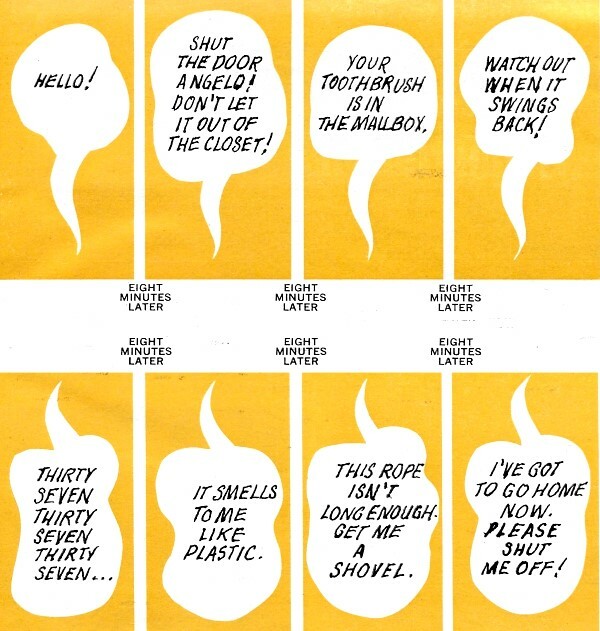 Shown above and below are examples of the type of dialogue you can use. Tailor your dialogue to fit the company you plan to have over. When the guests have begun to gather into small groups for the inevitable small talk, mute your hi-fi and start the tape going. Allow an initial eight minutes of blank running time so that anyone who might have seen you turn the recorder on will have forgotten it." When the dialogue starts, watch the party perk up and the small talk turn to a discussion of your switcheroo.